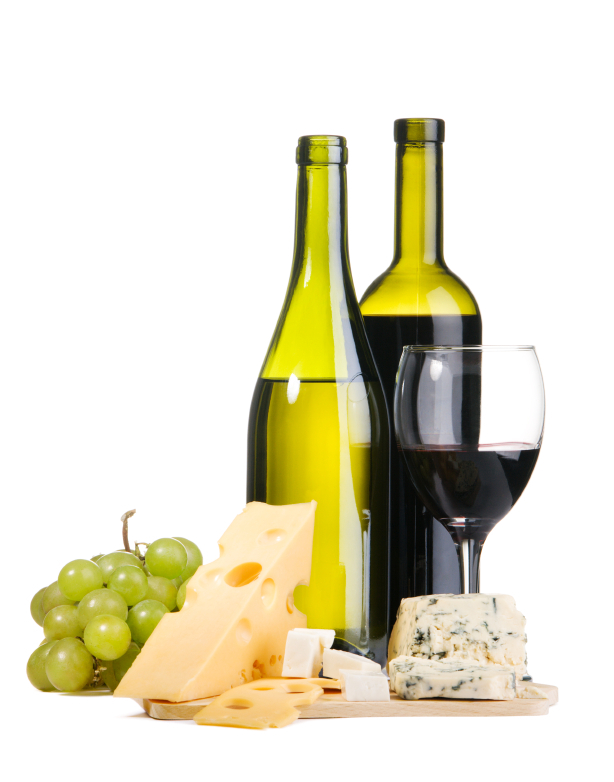 One reason Italy is so popular as a travel destination is the food and drink. 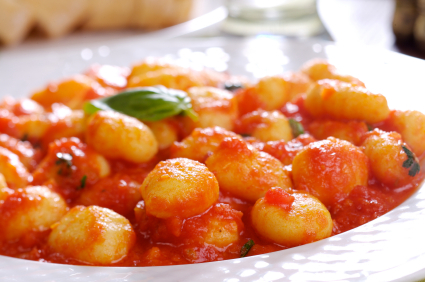 Italian cuisine is a popular favorite and can be richly varied depending on which parts of the country you visit. To make things a little easier on you, we’ve put together a basic guide to the kinds of food and wine you can find around Italy, and what to expect from each region. Italian cuisine is popular worldwide for its history and variety. CNN called Italy’s food and Italian cuisine the best in the world earlier this year. Italian cuisine is often simple to make, with only a few ingredients to each dish; Italian cooking emphasizes using quality ingredients over a wide variety of spices. Italy has more local variety in its cuisine than possibly any country in the world. Every region has its own spin on “Italian food” based on its history, local geography, neighboring countries, and climate. While you’re in Italy, you may want to consider visiting some different areas based on your personal preferences in dining. 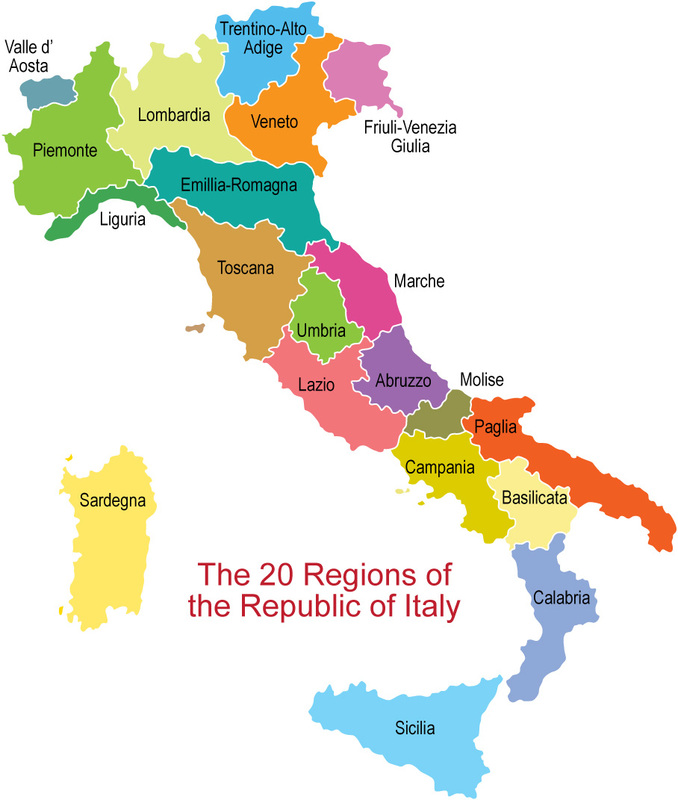 Italy is divided into twenty regions, each with its own distinct culture of food and wine. While we can’t write about each of them in detail, here is some idea of what to expect, depending to which part of the country you travel. Northeast Italy borders Austria primarily, and is near the Balkan peninsula as well, bordering Slovenia. Thus, the cuisine has acquired an Austro-Hungarian and Slavic influence over the course of history. In Friuli-Venezia Giulia, you are likely to find dishes of game or pork served alongside cornmeal polenta or gnocchi (potato dumplings). The province has three wine regions and is noted for the quality of its white wine; anything labeled Friuli has come from here. Trentino-Alto Adige has a long history of peasant cuisine, with a more Germanic influence than most Italian cuisine. You are more likely to find polenta as a staple than pasta here, and you will also find dishes such as goulash or sauerkraut that speak to the strong German presence in the region’s culture. The unique history of the region and its geography, situated between mountain ranges, means that you’ll find wines that aren’t produced anywhere else in Italy, too. Venito, where Venice is located, has a cuisine all its own, with more seafood and grilled meat than elsewhere in northern Italy. 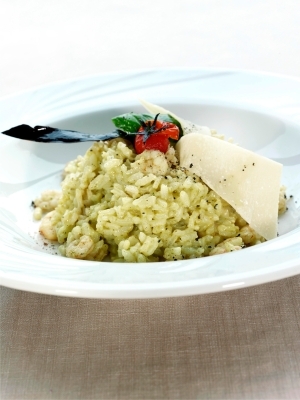 Risotto is the most popular pasta dish here; stuffed pastas such as ravioli or tortellini are popular too. The cooler north is favorable for white wines, while the coastal valleys are where the high-quality red wines are grown. Northwest Italy shares its borders with France and Switzerland, and bears the influence of those two nations in its local cuisine. Piedmont has traditionally been where the intersection of French and Italian cuisine is located. 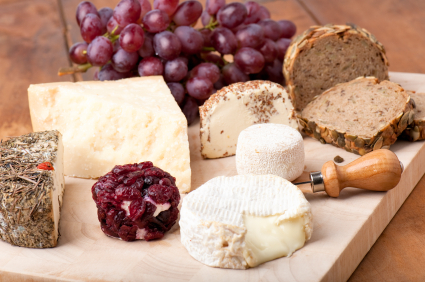 The French influence gives the region both a refinement and variety of its cuisine recognized all throughout the country; Piedmont also produces the widest variety of cheese in Italy. Asti sparkling wine is produced in Piedmont, as are a number of red wines. 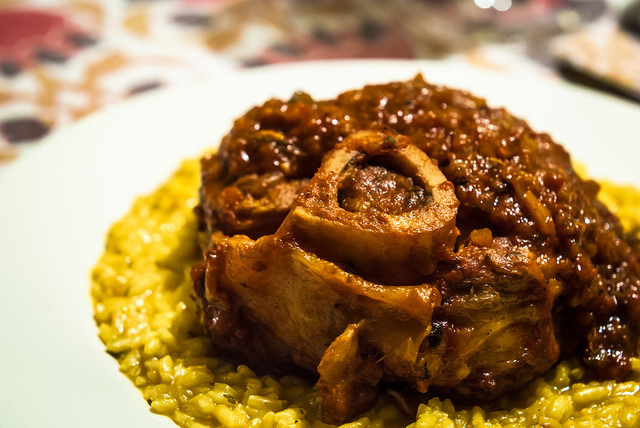 Lombardy tends to favor rice as a staple, and the cuisine puts cattle and other livestock and game to heavy use. 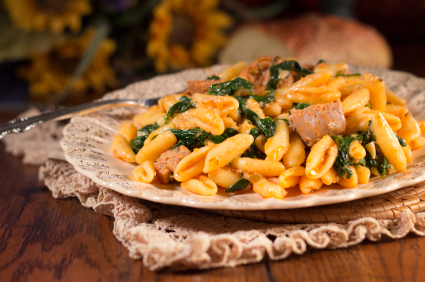 Beef, pork, and veal are very popular here, and much of the cooking is done with butter, lard, or cow’s milk. Lombardy has thirteen wine-producing regions that produce all varieties; the coastal areas are notable for their rosé wines. Tuscany, located in central Italy, is famous for its wine and olive oil. The harsher climate means that the olive trees are not as fruitful, so the olives that do grow have a richer flavor. 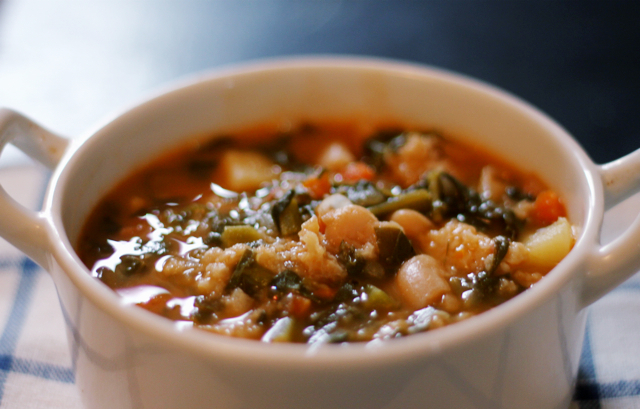 Tuscan cuisine is very simple, influenced by the peasant history of the region: its primary components are beans and legumes, vegetables, and bread. It’s said that the grapes of Tuscany are older than mankind itself; written references to the quality of Tuscan wine have been found as early in history as the 3rd century BC. Further south, Abruzzo and Molise are smaller provinces who share a similar cuisine (as they were not separate provinces until 1963). 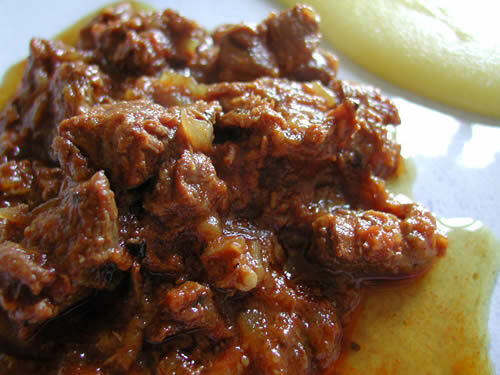 The cuisines tend to be heavy on meats and vegetables, spiced with chili and garlic and cooked with olive oil. Abruzzo is a large wine producer, most noted for the Montepulcano d’Abruzzo. Southern Italian cooking uses olive oil almost exclusively. 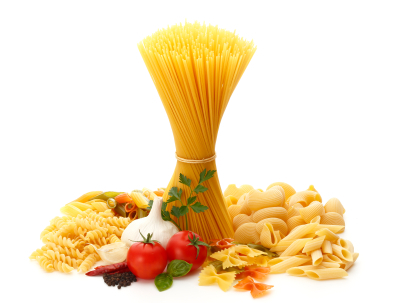 Campania is a primary producer and consumer of pasta, often with fish from the Gulf of Naples and local vegetables. Campania is also notable for its mozzarella production, particularly that using the milk of the water buffalo. 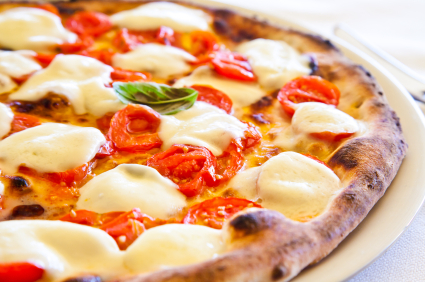 It is also the home and primary influence of Neapolitan cuisine– which gave the world pizza. Campania has long been a producer of popular, affordable wines. The Italian island provinces have their own unique features as well. Sicily, the southernmost island, has been inhabited and occupied by many peoples throughout its history, and the cuisine bears that influence. The cuisine is predominantly Italian but also shows Spanish, Greek, and Arab influences. Many of the flavorings used in Sicilian cuisine, such as apricots, cloves, and cinnamon, come from the Arab people who conquered the island in the 10th century. 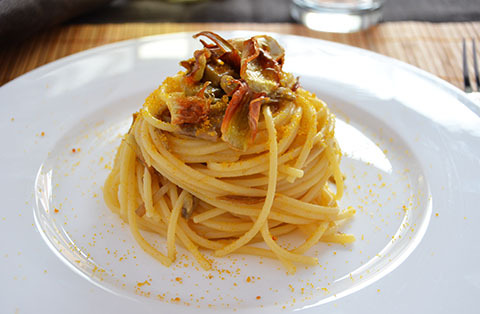 Sicily being an island, fish and seafood are often a prominent part of the Sicilian meal. Sicily is frequently the largest producer of wine in Italy, and its dessert wines are particularly good. Sardinia is an island to the west of the mainland; pork dishes are very common here, as well as varieties of dry bread, in addition to the local seafood. Cannonau is Sardinia’s most famous red wine. Italy has also long been recognized as one of the great wine-producing countries of the world. A traveler could spend an entire vacation doing nothing but traveling to vineyards. The varieties of Italian wine are affected by the differences in local climate and geography. Italy’s shape and placement give it a unique mixture of temperatures, terrain, and soil; every region is different. Italy’s four wine classifications are broken into two groups: VTD (table wine) and VQPRD (high-quality wines produced in a specific region). The two classes of VQPRD wine, Vini IGP and Vini DOP, have very strict rules as to where and how the wine is made and what type of grape is used. DOP has further designations– to qualify for the DOC designation, a wine must have been classified as IGP for at least 5 years, and a wine becomes eligible for DOCG class once it has held a DOC designation for at least 10 years. There are 118 IGP wines, 330 DOC wines, and 73 DOCG wines currently being produced in Italy. The long history of Italian food and drink means that the cuisines and wines are reflective of each other and pair well. You can feel fairly confident pairing a local wine with a local meal, particularly if it is of a higher class designation. Have your taste buds gotten excited yet? Visit AffordableTours.com to plan a vacation to Italy to sample the cuisine and vineyards.